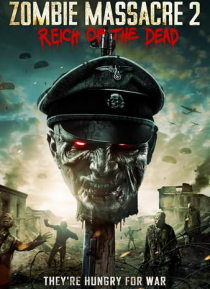 Set during the height of World War Two, Allied soldiers fight against a bloodthirsty army of the undead created by the Nazis using genetic experimentation on prisoners of war and people with mental disorders. Alongside the carnage of the trenches and terror of combat, the oncoming Allied soldiers are now faced with battling an ever-expanding and near indestructible hoard of zombies. They have just… one night to save their own lives and escape the soulless grip of their lifeless enemy, or face becoming part of the zombie army themselves.